When we met Robyn and Robert and they told us they were getting married on a glacier in Alaska I knew they were a perfect fit for us. Instead of the big huge ballroom wedding they opted for a backyard reception, with minimal decor as they just wanted it to be a reunion and meet and greet as newlyweds. 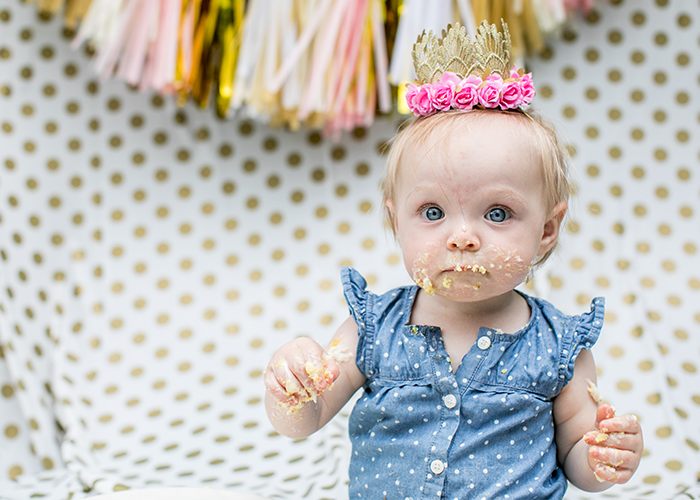 When your best friend has a 1 year old (almost) and asks you to do a cake smash, you do it. Not because you feel obligated, because you love that little girl to cake pieces! We had literally 10 minutes before a storm blew in, and Ella took her sweet time... not sure if it was "OK" to get so messy and eat the whole thing by herself!! Her sweet little eyes, smiles, and of course, her desire to share the whole time. Oh, and then she decides to climb you. Happy First Birthday Ella! Can't believe you're ONE!! I finally got around to sharing this! About 2.5 months ago, my family threw me a really incredible baby shower and I was literally showered with gifts and baby goodies. At the time I just thought how awesome is all this stuff... now two months later I have a 2 month old and putting most of it to good use. This is a little over due, but we didn't want to forget our sweet Lara and her man Brent, the volleyball coaches at Stevenson University who are getting hitched next year!! We did their engagement pics, and they invited us to come photograph their engagement party! Last weekend, my cousin Krissy got married in Richmond Virginia. What a beautiful weekend away and what a fabulous reason for a road trip! She was an absolutely stunning bride. Krissy invited me to her bridesmaids luncheon at The Blue Goat, a Neo-southern comfort food restaurant, sourced locally when possible. (They have the BEST TOT-CHOs - spicy tater-tots I've ever had, hoping to try to replicate in my own kitchen hehe). This coming September, I will be standing besides one of my friends, Brittany, when she says "I Do" to our friend, John. We are really excited for them! This past weekend, we threw Brittany a surprise bridal shower which was awesome because even thought she was suspicious, she was still surprised. My not so little brother Sam Hoffman graduated from Mount St Joe's this spring, and Lyndsay Stark, basically a little sister to me, also graduated from high school this spring. Our families are really close and the mom's decided to throw a joint grad party! When we aren't photographing weddings, events, and families, I'm with the people I love. This 4th of July Patrick and I ventured out to our Aunt Terrie and Uncle John's home in Catonsville, walking distance to the parade... and MAN... what a blast we had. We named this festivity... the Annual McDade Sugarfest. You will see why! Ashlynn turned 16 and her parents threw her a party to celebrate!! Karina and Brent are friends of Patrick and mine and they invited us (and hired us) to come do a photobooth AND capture event highlights! This party was so much fun. Can't you tell from the picture above!